Allergy season is HERE — despite the fact that it snowed (?!) yesterday and today in Montreal, the pollen is in full blast right now. It feels very weird to be biking around, still bundled up in winter gear, and be all sneezy and itchy-eyed at the same time. If we chat on the phone for tracking this week please don’t mind my sniffles and sneezing in the background. And maybe share any magical hayfever remedies you know of? 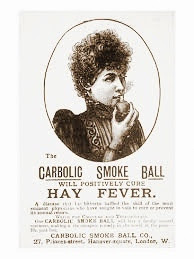 I’m already rocking the local honey & allergy meds, but am open to pretty much any suggestions at this point — except maybe the freaky-sounding carbolic smoke ball advertised above. Dominique Alexander (Urlapse, buffalo MRI) will be gripping the wheels at CKUT and playing selector every Wednesday in May from 12:00-14:00h for that chimeric transmission called If You Got Ears. Through deep recon, rake and rummage through her personal gatherum, she’ll be serving up rare cartridges, banging circles, and info stick for your afternoon listening pleasure. Plotting a survey course into concrète jungle, tune in for some coincidence control, hush and scatter, assorted echoes and toyings. 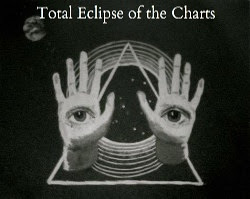 This entry was posted in Charts and tagged allergies, buffalo MRI, dominique alexander, specialty charts, top 30, total eclipse of the charts, urlapse on May 9, 2017 by CKUT Music Coordinator. A pair just as unlikely as they were fantastic graced the stage at Place des Arts on April 13. Cambodian-psychedelic rock group Dengue Fever opened for the Saharan blues collective Tinariwen, creating an atmosphere that accomplished the feat of cultural synthesis beautifully. After sixteen years together, the groundbreaking band has amassed a dedicated and well-deserved following. Lead singer Chhom Nimol, along with her American bandmates, has heralded a resurgence of khmer pop music. Their own remarkable albums aside, the band has released compilations of music lost or destroyed during the Cambodian genocide of the late 1970s. Dengue Fever Presents: Electric Cambodia and Sleepwalking Through the Mekong have helped to bring visibility to the artistic ramifications of the Khmer Revolution while also honoring the vital role that Cambodian musicians played in the development of the rock genre half a century ago. The band’s monumental outro came through “One Thousand Tears of a Tarantula,” which offered a glimpse into the surf-rock allure of their latest album, Escape from Dragon House. After a brief intermission, guests began to rise from seats both isolating and plush. Ululations rang out from every section of a crowd that had seemed so docile minutes before. We snuck toward the stage to get a good look at the six-piece comprised of Tinariwen’s third generation. 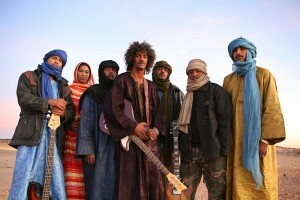 The Tuareg musicians sang together, clad in cheches and thick veils of exquisite cloth. One member danced throughout the performance, becoming a crowd favorite as he retired a crimson electric guitar to lead a wake of flowing garments across the stage. In a strange progression of events, the entire room began to howl and lurch toward the front row during “Tamiditin Tan Ufrawan,” throwing all former reticence to the wayside. 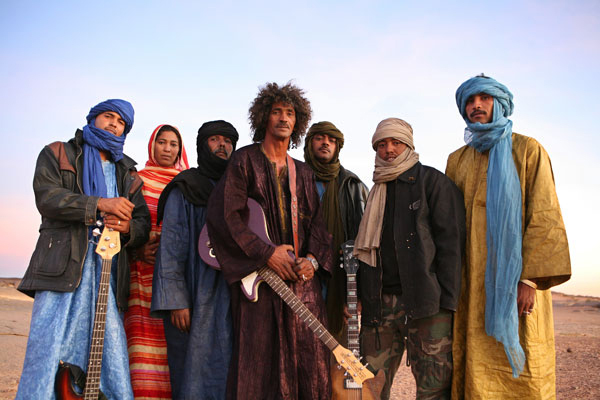 Tinariwen came to share Elwan, a new album that reflects a range of deeply emotional responses to political turmoil and displacement, with a room full of Montreal residents beginning to thaw their bones after a long winter. In the process, they engaged individuals in a two-hour celebration of music from a Saharan region that felt close for only one night. Recorded in Joshua Tree, California, due to the political volatility that has afflicted their people for decades, the album bares the harsh realities of the group’s rebellion to listeners. That evening, we all danced together – we all lay in wait for the rotating panel of singers and percussionists to build off of the stories that came before. As the show ended with “Chaghaybou,” we knew how lucky were to be invited to participate in a moment so fun and profound. This entry was posted in Reviews and tagged dengue fever, maddie jennings, place des arts, tinariwen on May 3, 2017 by CKUT Music Coordinator. I’m a bit under the weather this week and on some heavy-duty cold meds right now, so I’m gonna keep this short for today. Charts are below! During the month of May, CKUT turns the Montreal Sessions over to the good folks at Distorsion Psych Fest. The collective will venture in all things psychedelic and subversive, bringing along a selection of guests from our vibrant local psych scene. Catch it live or download the full audio archives via ckut.ca every Tuesday from 3-5pm. This entry was posted in Charts and tagged distorsion psych fest, Sick, specialty charts, top 30, total eclipse of the charts on May 2, 2017 by CKUT Music Coordinator.